We are offers private day tour in the Jaipur City with car & driver, guide. We suggest you try this tour of all the must-see places. 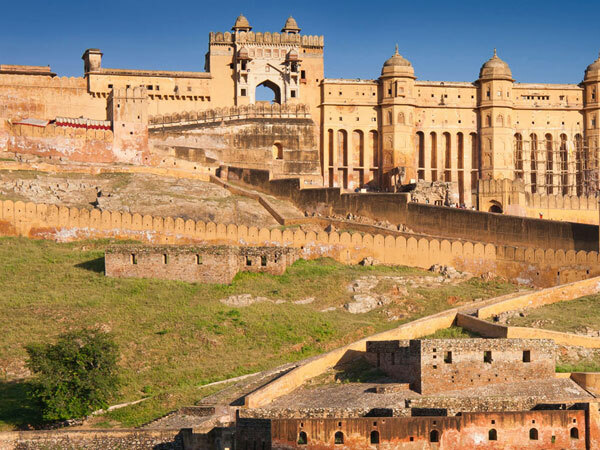 This tour covers – Amber Fort with Elephant ride, Nahargarh Fort, City Palace, Hawa Mahal, Jantar Mantar, Albert Hall, Birla Temple, Local Market. 10:30 – Visit Nahargarh Fort- The smallest of the three forts, notable primarily for excellent views over Man Sagar lake and the vast sprawl of Jaipur. 12:00 – Jantar Mantar- The Jantar Mantar is the largest of five astronomical observatory build by Maharaja Jai Singh during the period 1727-1734 in north India. It is located very close to the City Palace. 19:30 – Drop at hotel. In between sightseeing, your guide will take you to a local restaurant to enjoy an authentic Indian lunch. 1. Entrances to the Monuments. 2. Any kind of personal expenses such as tips, telephone bills and alcoholic beverages. 3. Entrances to the monuments. 4. Camera fees (still or movie).